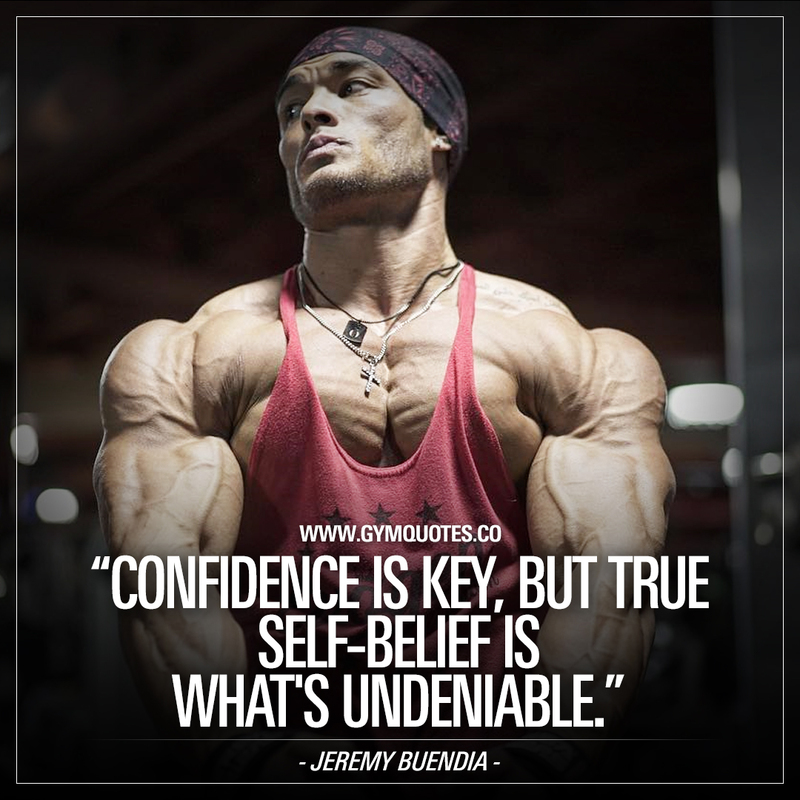 “Confidence is key, but true self-belief is what’s undeniable.” Mr Olympia Physique Champ Jeremy Buendia. The champ is about to defend his title at the Mr Olympia 2018. Jeremy Buendia is without a doubt one of the hardest working bodybuilders in the fitness industry and the man with one of the most wicked physiques in the world. Wish I could have been there to witness this epic battle at the Mr Olympia but I’ll have to watch it afterwards. And this Jeremy Buendia quote is so true. Confidence is without a doubt KEY. But that true self-belief..
Is what will truly make you successful. 💯 That true self-belief is what will unlock YOUR unlimited potential. Do everything with an intensity that is undeniable. The expectations I have for myself are far greater than the expectations anyone else can have of me. No quit in my blood. Building and working toward the perfect physique! It doesn’t happen by sitting on the couch! I’m not just trying to climb to the top of the mountain. I’m trying to build my house there. My back is turned to the negativity but my face is towards a brighter future!